Coloured contact lenses are so fun and I've worn them a few times before. They're great for halloween or nights out - they really finish the outfit off. This review is on a lovely pair of Glimmer Black/Silver Contact Lenses from www.SpookyEyes.com. SpookyEyes sell many different types of lenses including natural-looking lenses, crazy coloured lenses and halloween themed lenses. 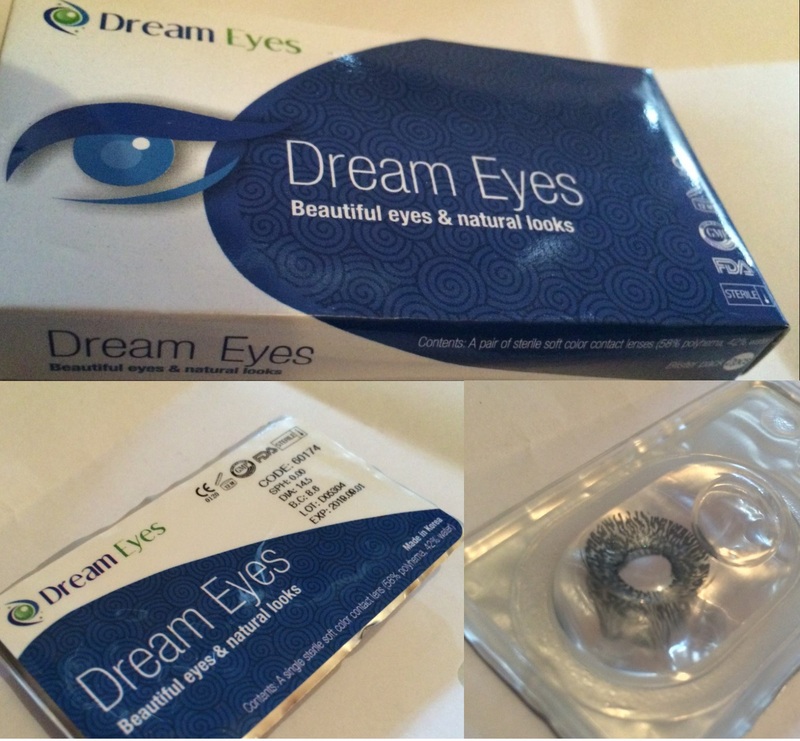 They also sell contact lens care kits at a very reasonable price which I find super useful as I can store and re-use my lenses whilst having some spare solution which helps me greatly when it comes to putting my lenses in. The lenses came individually packaged in sterile solution so they're nice and clean which is what I like to see! Instructions regarding putting the lenses in are to be found on the inside of the box. I think it's fab that they provide instructions on how to insert contact lenses as many companies just assume that everyone knows how to insert them! I think that including these will help people stay safe and have a much more comfortable experience when putting the contacts in. I actually accidentally ripped the part of the box with the instructions on when opening the box but I managed to piece it together and the steps are fairly comprehensive. I was impressed by how much detail they went into! 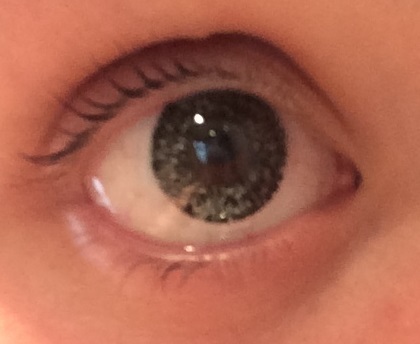 Here's a comparison between how the lenses look and my natural iris. It's quite hard to picture a glitter lens and it looks much more glimmery in person. I love the look that black lenses create and the glitter adds a whole new dimension to them! The lenses themselves were fairly comfortable after a few minutes of wearing them. Initially they were uncomfortable but this is the same for all lenses as your eye is not used to having something inserted into it. They were easy to insert and did not dry up quickly like some lenses I have used. I simply took them from their packet, and put them straight in, no need to apply extra lens fluid. When I took them out, I applied a couple of drops of lens fluid to my finger so they stayed well lubricated and ready for a second use. Overall, I would highly recommend www.SpookyEyes.com! They have an absolutely amazing selection of lenses and they are high quality and comfortable. These Glimmer Black/Silver Lenses are amazing and there's quite a few more I want to try including the super cute Kitty Lenses. SpookyEyes sell so many cool lenses, I mean who can turn down a pair of SAILOR MOON (!!!) lenses? !